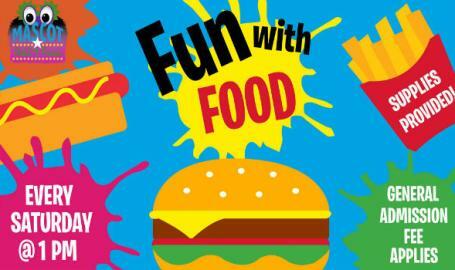 We all love fun and we all love food - so, why not have Fun with Food? Join the Mascot Hall of Fame every Saturday at 1pm for Fun with Food! From googly-eyed marshmallow treats to custom veggie characters, the MHOF Staff has many fun food activities planned for museum guests on Saturday afternoons. General admission applies. Supplies are included (and so is snacking)!